Engineered to deliver your longest shots with confident precision, the new BLACK FX1000 is set to raise eyebrows and expectations among long-range shooters. 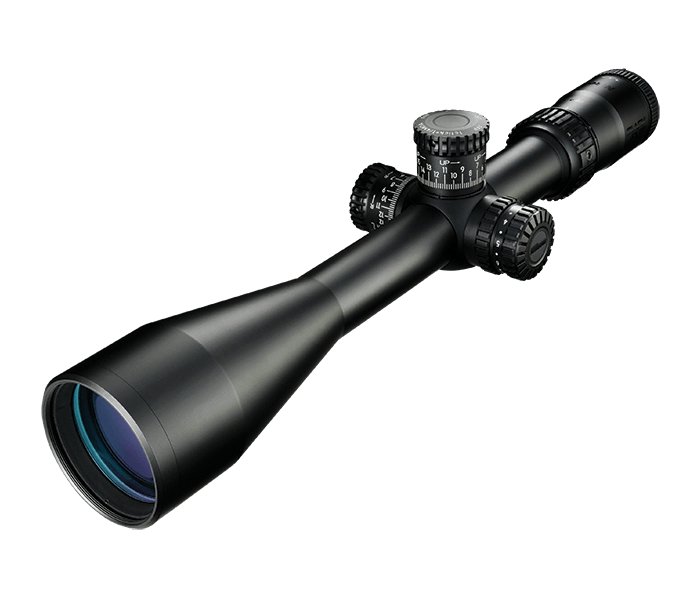 Competition-ready straight from the box, BLACK FX1000 integrates renowned Nikon optics into its first focal plane optical system for tack-sharp images and dialing functionality at any magnification and distance. Proprietary new glass-etched tactical reticles paired with precise, high-speed turrets allow fast, repeatable distance corrections and intuitive hold-off points. And for rapid return to your zero, the FX1000 debuts Nikon’s all-new BLACK Return-to-Zero integral zero-stop in the elevation turret. Sunshade included. Nikon’s proprietary FX-MOA and FX-MRAD reticles were created expressly for the first focal plane optical system used in the BLACK FX1000 riflescope. Each reticle is designed to optimize the sight picture and provide the tools necessary for ranging, holdover and windage corrections. Illuminated reticle models with side-mounted control offer 10 intensity levels of red illumination with OFF switch between each step for quick, easy brightness adjustments. Extremely durable, yet fine and detailed reticle design that maintains color and contrast in all light conditions. Windage and elevation turrets provide 25 MOA adjustments per revolution (90 MOA max. internal adjustment) and are clearly marked for quick adjustments. Features an all-new return-to-zero stop for rapid return to zero. Constant, generous eye relief keeps your brow safe and provides good sight picture for various shooting positions. O-ring sealed to prevent moisture from entering body and nitrogen purged for total reliability against thermal shock. Shockproof construction shrugs off hard recoil and rugged use. Excludes lost or stolen products and intentionally caused damage.